Lately I've been focusing on honing my design detailing, that is more time spent on refining the small details of a simple idea. It's an interesting approach in that working on details can un-intuitively help to steer the direction of the overall concept. 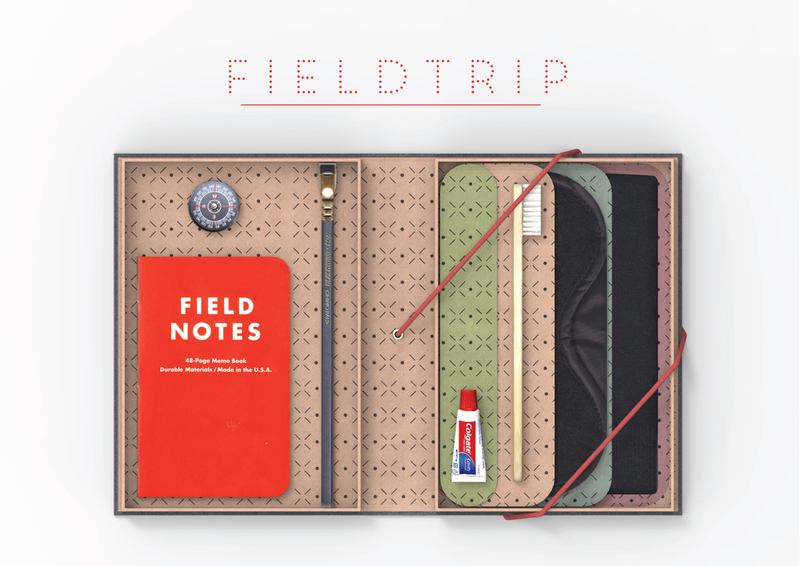 With Field Trip, I came up with a relatively simple idea (an amenities kit that looks like a book) and spent most of my time making physical models. The benefit of this was an incredibly refined idea of what worked and what didn't, and ended up with a model that I could use to scan textures for the above rendering. In other news, I've been chosen to present this idea to Watermark International next week. I'm also presenting my 'Flower Chair' concept from last semester to Street Furniture Australia.